BlackBerry earned a preliminary sales injunction against the Ryan Seacrest-backed Typo keyboard attachment for iPhone(s aapl), reports Reuters. 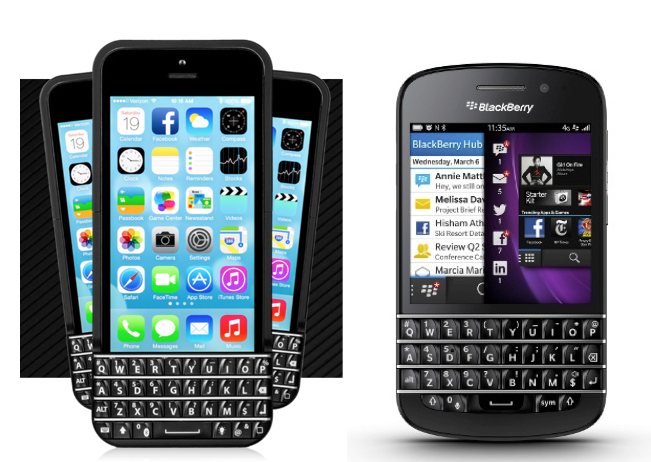 BlackBerry filed a January suit against Typo due to “blatant infringement” of the iconic BlackBerry(s bbry) keyboard. One look at the $99 Typo keyboard attachment for iPhone will give you a good idea of BlackBerry’s case and why a U.S. court awarded the sales ban for now. The concept of an iPhone keyboard accessory certainly isn’t a bad one: There are definitely phone users who prefer physical keys over a software keyboard. From that perspective, Typo’s product idea had merit. Spending two years to develop a keyboard that nearly mirrors that of a BlackBerry, however? Sorry, Seacrest, not even an American Idol Judge’s Save will help this case. UH, CLEARLY THERE IS A MARKET FOR THIS, BLACKBERRY IS STRUGGLING, WHY DOESN’T BLACKBERRY MAKE A KEYBOARD FOR IPHONE ??? It’s definitely an innovative design based on years of development and research … done by BlackBerry. Boxwave has a much better, 5-row, sliding keyboard case for the iPhone. I too am one of those enthusiasts that live by a physical keyboard, so it’s hard letting go of my HTC Touch Pro 2. What is patentable about a QWERTY keyboard? I don’t own an iPhone so I have no bias here. But QWERTY keyboards have been around way before Blackberry. It’s more than just being a QWERTY keyboard. The silver fret bars in-between each line of keys; the font of the numbers, letters, and symbols; the contour and shape of each individual key; even the alternate “function” keys. If they had made a QWERTY keyboard that had none of those other things in common then BlackBerry probably wouldn’t have a case but just look at the picture, it’s hard to tell those are two competing keyboards from two different and unrelated vendors.